It is of no surprise to me that this study has gotten to its fourth post barely having scratched the surface of my search for the perfect Chicago skyscraper. In case you missed them, please check them out on the category tab under “Architecture”. In this part I will continue analyzing skyscrapers grouped under the title “Tall and Wise” which refers to buildings built before WWII and the rise of Modernism. Like The Home Insurance Building before it, The Reliance is widely considered, with good reason, one of the most important steps in the development of the skyscraper. To the untrained eye, The Reliance nowadays might seem like one of many “old looking buildings” in downtown Chicago clad in stone and heavily ornamented. However, The Reliance’s greatness becomes clear given the epoch in which it was built. For decades, neo-classicism had taken architecture hostage to ancient tradition, forcing buildings to be clad in heavy masonry. The development of steel frame construction allowed designers to call for fully glazed enclosures, which would not appear until well into the 20th century due to the stylistic and technological resistance of an always conservative construction industry. It is within this context that The Reliance stands tall as it was a step away from the typical neo-classical high-rise of small windows and ornamented stone-clad facades, and a step toward the “steel and glass modernist skyscrapers”. 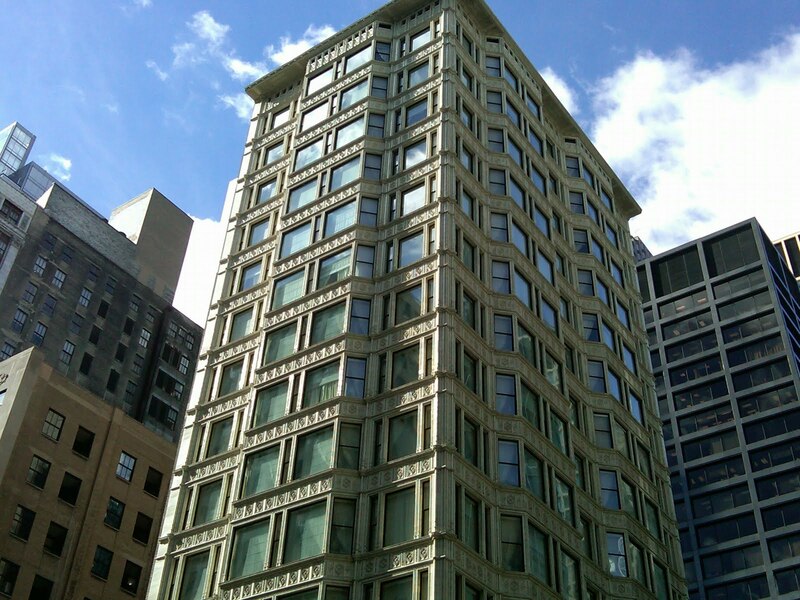 Designed by Burnham and Root, The Reliance was a happy accident. Changes in budget, technology and in the approach toward the initial design gave us a building with the highest ratio of glass to stone ever built. The overall weight and heaviness of a more typical neoclassical building was replaced by a more simple, slender and economical structure. The Reliance was not, however, a complete departure from tradition since the architects still opted to clad it in terra-cotta with ornamental motifs. With the Reliance, Root as the head designer of the firm showed his willingness towards a more austere kind of architecture. Root was also able to adapt to a very problematic construction (the project was halted for nearly 3 years) and his ability to offer original and sophisticated solutions for projects immersed in difficulty made him a true innovator. Had it not been for his premature death, the firm of Burnham & Root might have continued to move closer towards modernism, even before the arrival of the great Mies van der Rohe to the shores of Lake Michigan. Unfortunately, Burnham had to carry the load of the partnership by himself, resulting in a step back towards neoclassicism that halted the development of architecture for years to come. This is not to say the first couple of decades of the 20th century was void of good ideas (I have already covered great skyscrapers completed then) but it certainly represented, in the bigger picture, a transitional period of limited advancement in the evolution of the skyscraper in America.